I'm going to Spain in August!!!WOOOOOOOOOOW!! !-MADRID,BARCELONA and SANTIAGO!! !I'm really excited! There will be very hot so, I need a straw hat and many comfortable clothes;)! In one of those pics you can see some hats that I like, what do you recommend? I must go now,waiting for your advice!!! PS: You can follow me on LOOKBOOK and TRENDITIONAL too;)! you look so cute! I looove that hat and those shoes! omg! You look amazing, dear! Lovely hat! Oooh I love your hat and the other hats you posted pictures of! I'm on a hat kick myself! I'm following, can u follow me back? Love your blog and your style...its so sweet!!! hey! also I love the shoes! Beauitiful bag! Linen(is it linen?) and leather work perfectly for summer. 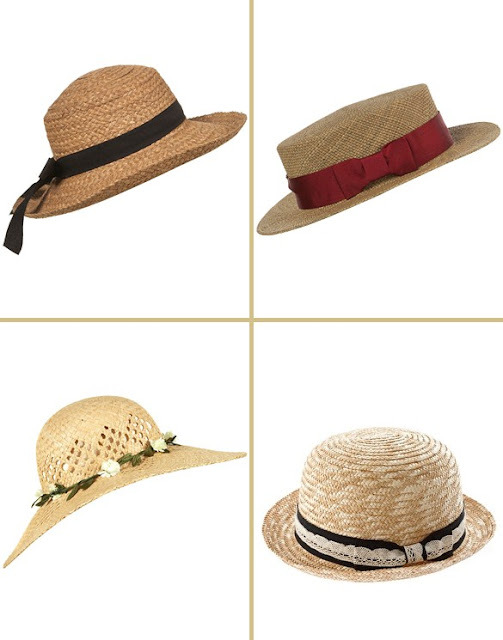 I am obsessed with straw hats like these ones! This look is absolutely stunning :) Following! Gorgeous outfit! Love your hat. All your picks are so cute! Cute outfit. Love the socks and shoes together! this is such a romantic outfit and I love it!!! so you're coming to Spain in august? get ready because it will be very very cold! haha but you'll love it, specially barcelona! im so jealous you're going to spain! :) im so jealous! have a lot of fun. Thanks :) I love your style! Davvero carina ♥ Bel blog, complimenti! Great outfit. Love your shoes and hat ! You look like a gorgeous doll. I love this outfit and the way you are posing. I like the hat with the flowers! i love love love your hat and your outfit!!!! i want to get a hat and haven't done it! seeing you makes me want a hat really bad!! Thanks for your lovely comments! Maybe you'd like to follow? Thanks so much for the comment on my blog! I'm so happy for you about your trip to Spain. That sounds amazing! Just make sure to pack some really pretty sun dresses to go with those hats! Great outfit, love the hats! great outfit!! thank you for commenting. I am following!! would you like to follow me back?